Promoters say it will be the biggest show ever for a Korean act in the United States. 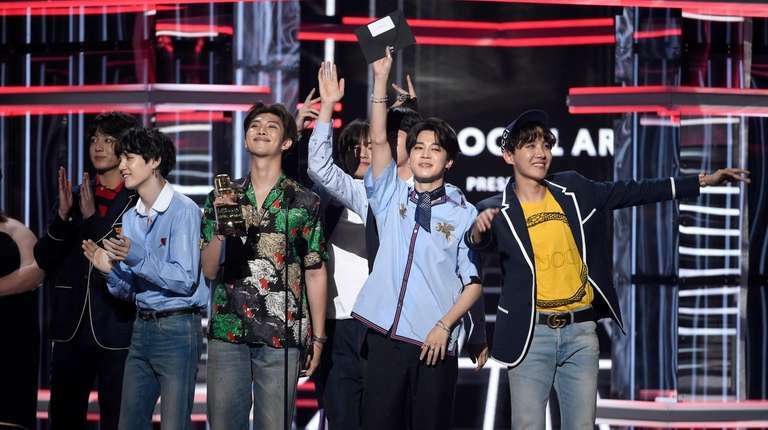 K-pop boy band BTS will make history when they headline their first American stadium show at Citi Field on Oct. 6, marking the biggest show for a Korean act in America, promoters say. RM, Jin, SUGA, j-hope, Jimin, V and Jung Kook will release a repackaged version of their “Love Yourself: Answer” album on Aug. 24, which will include seven new songs as well as the original “Love Yourself: Tear” album, which included the Top 10 hit “Fake Love.” “Love Yourself: Tear,” which hit No. 1 earlier this year, became the first predominantly non-English album to top the Billboard charts since 2012. The “Love Yourself” American tour, which kicks off with four shows at the Staples Center in Los Angeles starting Sept. 5, will wind up at Citi Field. Tickets go on sale at 4 p.m. Aug. 17 through Citi Field, but prices haven’t been announced yet. It’s a testament to the group’s rapidly rising success that they plan to fill Citi Field so quickly. Taylor Swift announced her stadium tour more than six months before it started. Beyoncé and Jay-Z put tickets for their “On the Run II” tour on sale more than four months before the show.